@ 20% Off at Stable Cottage this Easter. Now only £406 for 7 Nights. 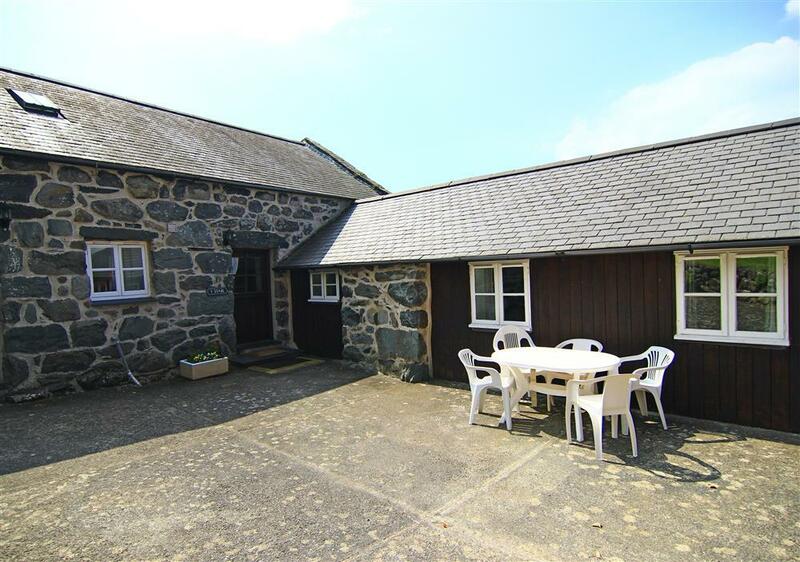 One of a pair of farm cottages retaining some of their 300 yr old character with beamed ceilings and thick stone walls providing a characterful and comfortable family holiday home near the village of Llanbedr, 3ml from Harlech. The large open plan living room is very homely and functional. 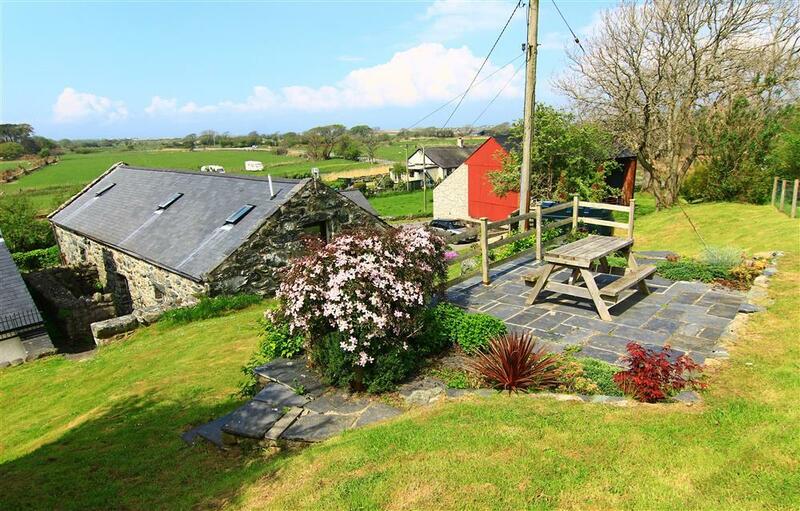 The cottage is surrounded by open countryside with the heather carpeted Snowdonia mountains, with the 'Wales Coastal Path' running past the front door. 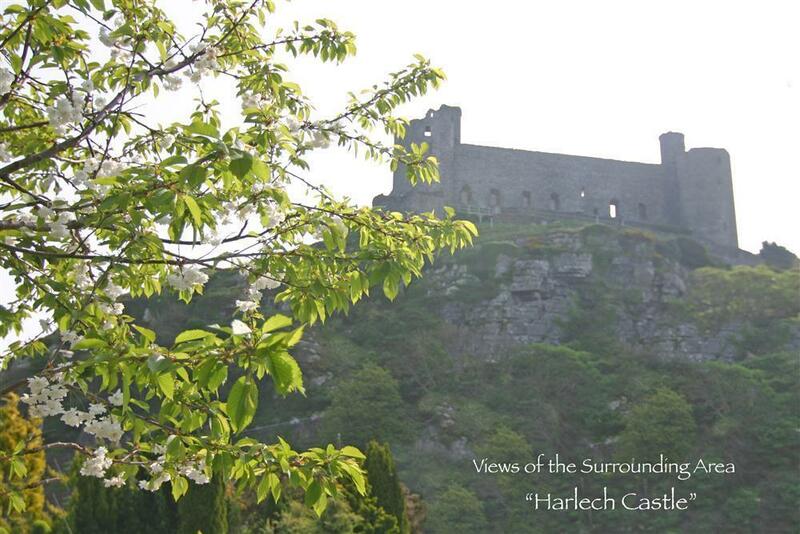 The sea and beautiful sandy beaches of Cardigan Bay are all within striking distance. The nearest beach is at Shell Island just 1 mile away. The pretty riverside village of Llanbedr (1/2ml) is within walking distance for a few shops, inn and a hotel. Barmouth fishing harbour and town is 7ml and has a lot of antique and craft shops; Porthmadog town is famous for the Ffestiniog Railway, Portmeirion village and Black Rock Sands (9ml). N.B. 'Bont Briwet' is now open for a quick journey to Porthmadog (July, 2015). 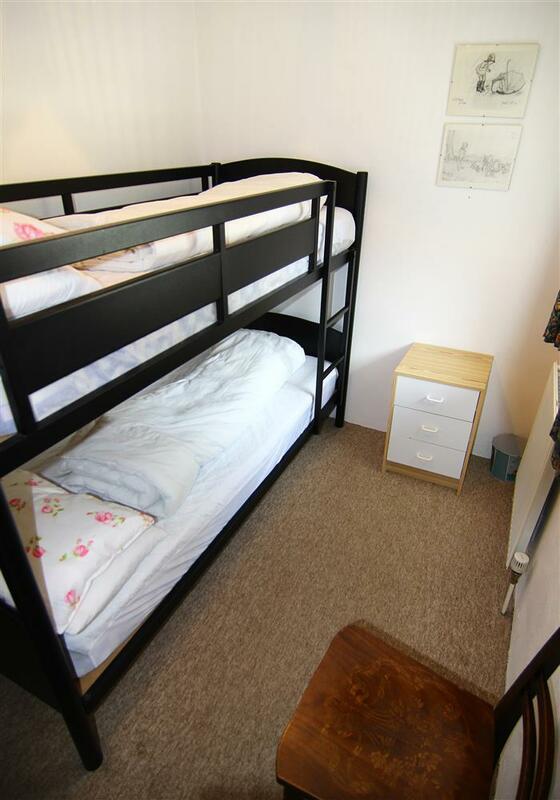 2 BEDROOMS: 1 Double bedroom and 1 bedroom with adult sized bunk beds (refer to picture). Towels and bed linen are not included but can be provided at £10/person. BATHROOM: Bath and WC downstairs. 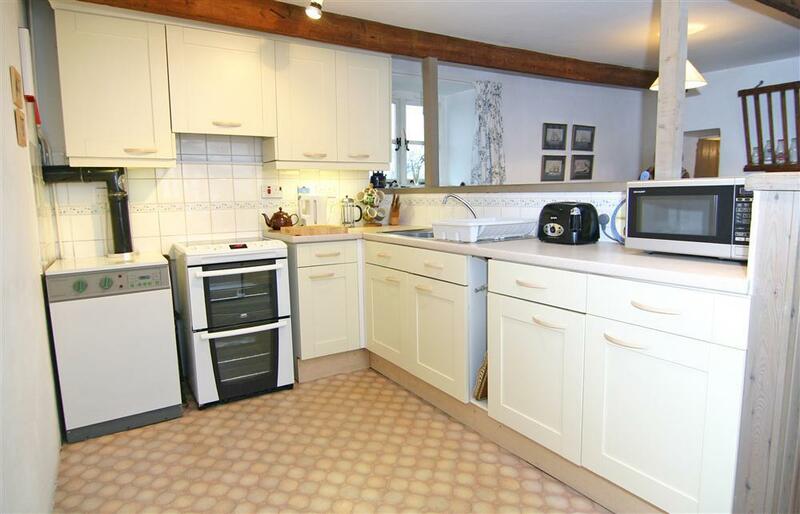 KITCHEN: Open plan diner and living room, farmhouse kitchen with electric cooker, fridge and microwave, TV, DVD and Freeview. 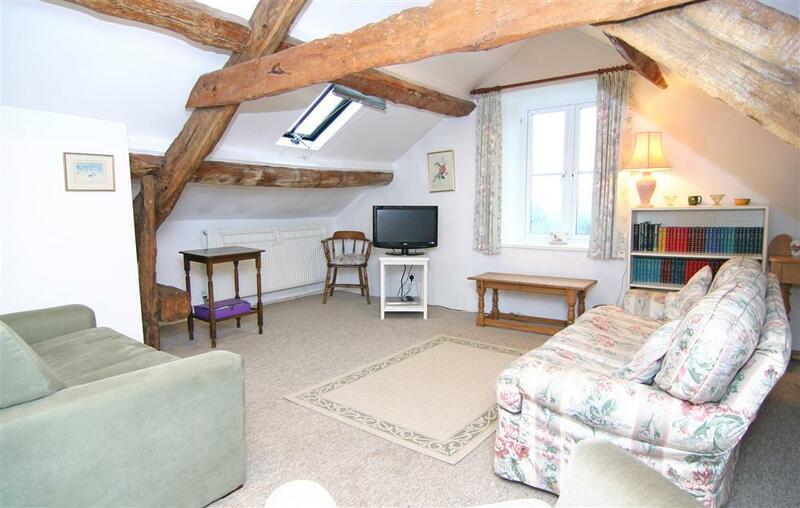 LOUNGE: Upstairs with double bed settee and picture window with views towards the sea and TV, DVD & Freeview. GARDEN: Shared enclosed courtyard and an elevated patio area, shared between all our guests, is the perfect spot to relax, with brilliant sunset views out to the sea and over towards the Llyn Peninsula. LAUNDRY ROOM: Shared laundry room with property ref. 4060. PET: 1 dog is allowed. A second dog is allowed by arrangement, as there is a maximum of 2 pets between properties 4058 & 4060 (they share a courtyard). INTERNET: Free WiFi access in in this property. LINEN: No, but available to hire. TOWELS: No, but available to hire. COT: Travel cot can be provided but no bedding included. Mini-break rules: A mini-break is a holiday for less than 7 nights and/or may start on a day which isn't the normal changeover day (Saturday). Out of season (November to end of March), this property will accept mini-breaks 31 days before the start date of the holiday, and within season (April to end of October), within 7 days of the start date of the holiday. Mrs S: "Mrs Jones, key holder, very helpful." Mr C: "Great time had by all. Thank you"
Mr & Mrs M: "I loved staying here. It was a peaceful respite from a stressy life. Thank you"
Mrs S: "We just wanted to say thank you for the lovely week we spent at Stable Cottage. 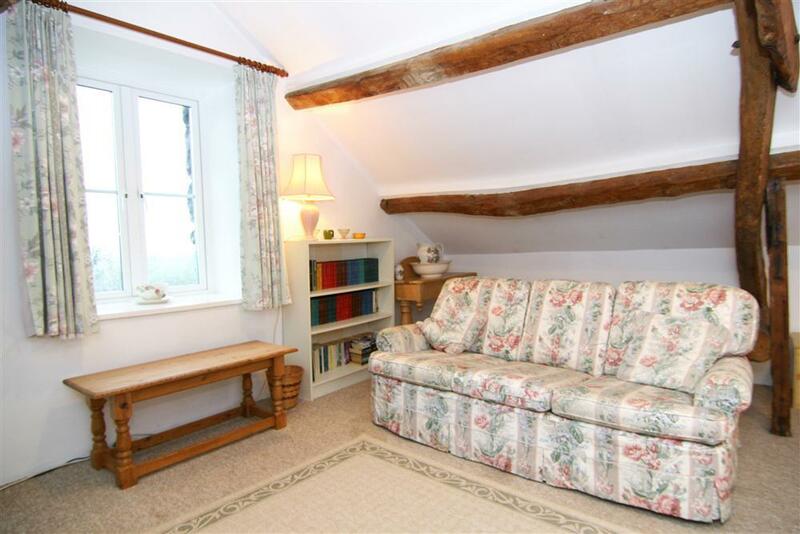 The cottage was well located, spotlessly clean and had everything we needed. The lady looking after it visited us twice to make sure we were happy and we felt very welcome." 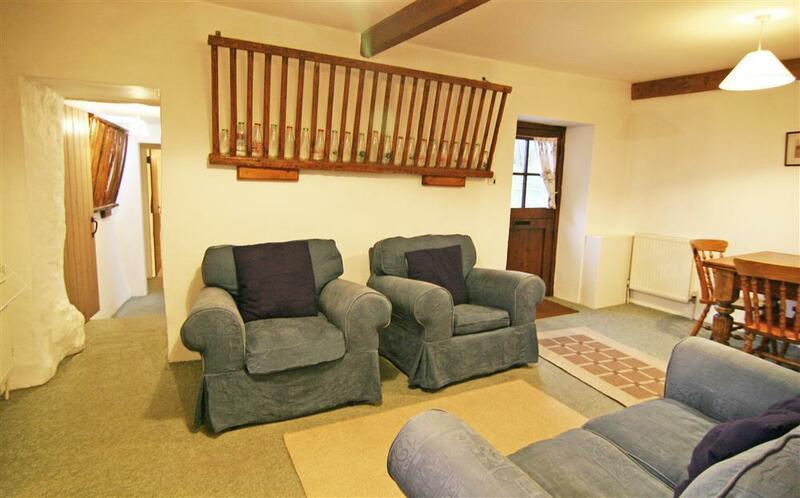 Mr & Mrs J: "Delighted with the property, comfortable and a place to feel at home and relax. 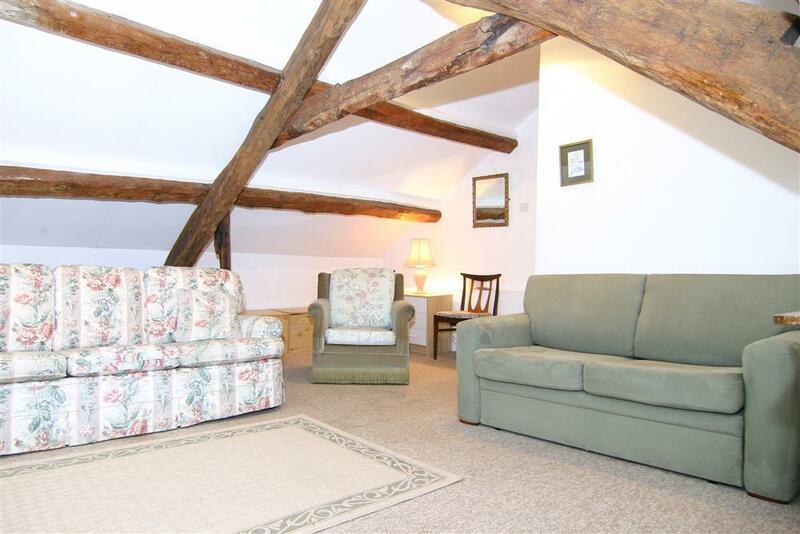 Courtyard is a real suntrap and general environs and aspect of the property is very good. We were concerned at the closeness of the railway track but in the event that was not a problem and actually added to the interest of the area. Property conveniently located to access places of interest north and south. 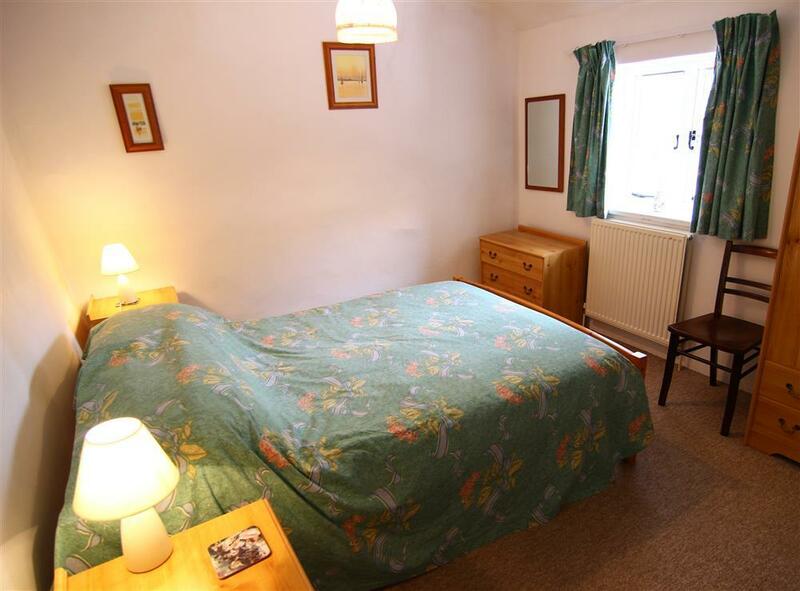 Having rented many cottages around the UK this one is on the list to visit again." Mr D: "The owners were excellent hosts, there was nothing that was too much trouble for them and they even managed to find a local paper from where we live and deliver it through our door." Mr C: "Rest assured that whenever we are planning to stay in the area we will always try you first. Thanks again from all of us for a lovely week." We are wholly committed to ensuring that all our guests are able to enjoy our facilities as fully as possible. Please contact us when making your booking to discuss any concerns or special requirements and we will provide any detailed information you need and make any arrangements we can to assist you. There is ample car parking on site, close to the accommodation. If your party will be bringing more than two cars (farmhouse) or one car per cottage, or if you require a wide or long parking space, please let us know so that we can advise you where best to park. We will do our utmost to accommodate boats, trailers, bikes etc securely and again it helps if you let us know about these before arrival. The grounds include a small orchard, shared by all our guests, which has a narrow and sloping entrance. 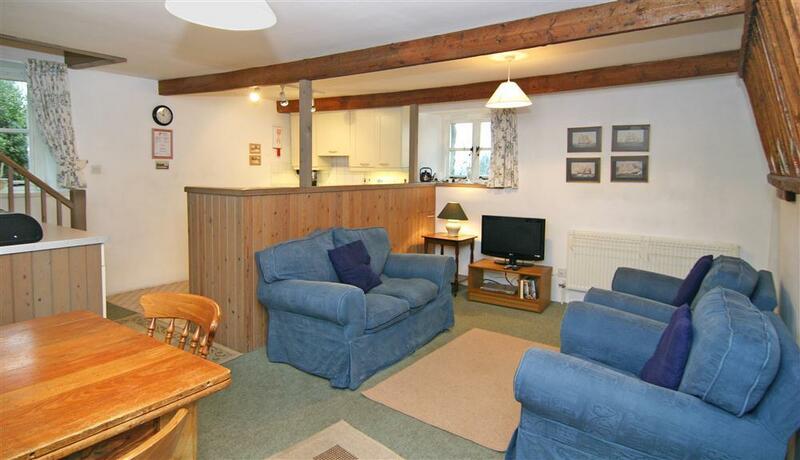 The car parking spaces and patio area are close to the cottages, with level access. The patio area is usually kept clear of cars, but access right up to the door can be arranged if needed by individuals or for unpacking. We regret that the accommodation is not adapted for wheelchair users, but the Old Stable cottage has 2 downstairs bedrooms and a bathroom/toilets, which may be helpful for guests who have difficulty with flights of stairs. There are two small steps into The Stable cottage (120 and 140mm) and two internal step on the ground floor each around 600mm from the lounge to the bedrooms and bathroom. 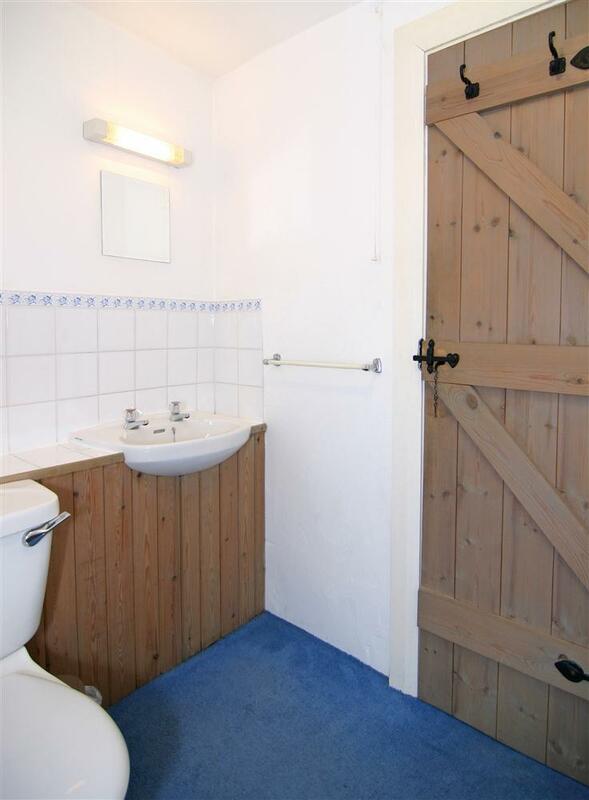 Due to the limitations of the converted old farm buildings, there are some narrow internal passages and doors, e.g. minimum width of 530mm where a stone protrudes into an internal passage in The Stable. 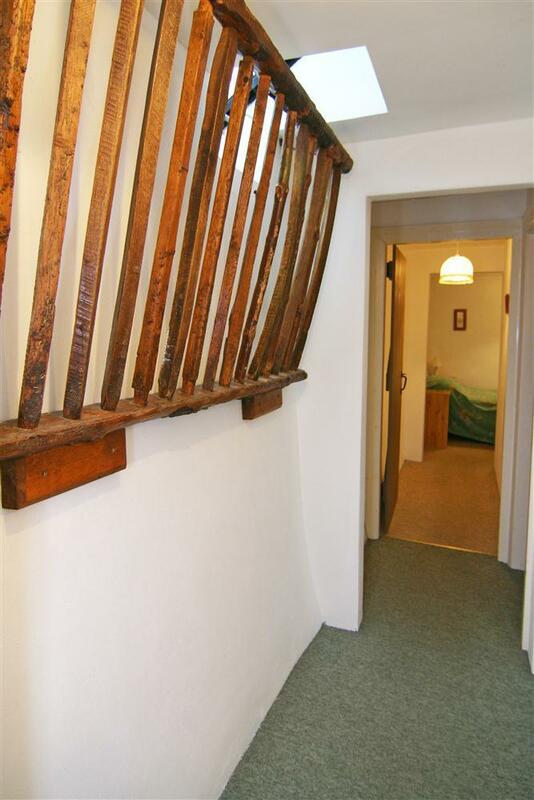 Taller guests will notice that the headroom is restricted in some doorways and under the old beams which have been retained as a feature. The cottages have baths with just a small hand shower attachment for rinsing hair etc. Light switch heights vary from 900mm to 1380mm. 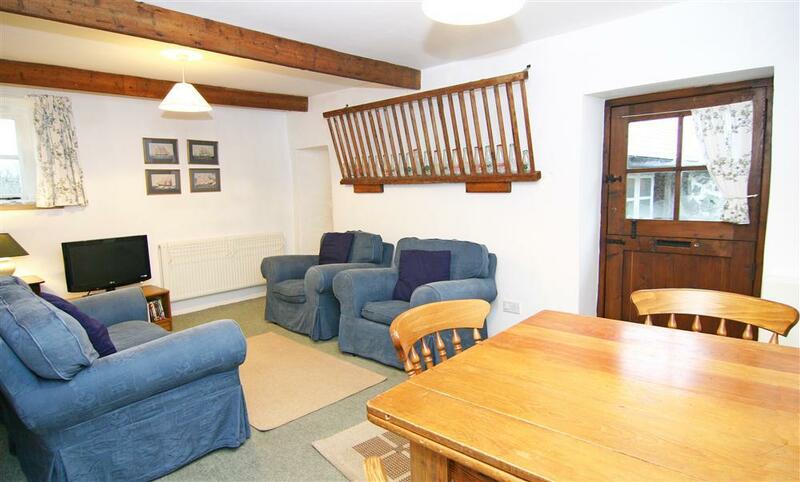 Llanbedr railway station is conveniently close for guests travelling by public transport. It is a "request stop", so please inform the conductor/driver if you wish to stop at this station. If you are waiting to catch the train, make yourself clearly visible to the driver as your train approaches. There are about 7 trains in each direction on weekdays and Saturdays, operated by Arriva Trains Wales, with a timetable displayed on the road outside the station, just across the road from the property. 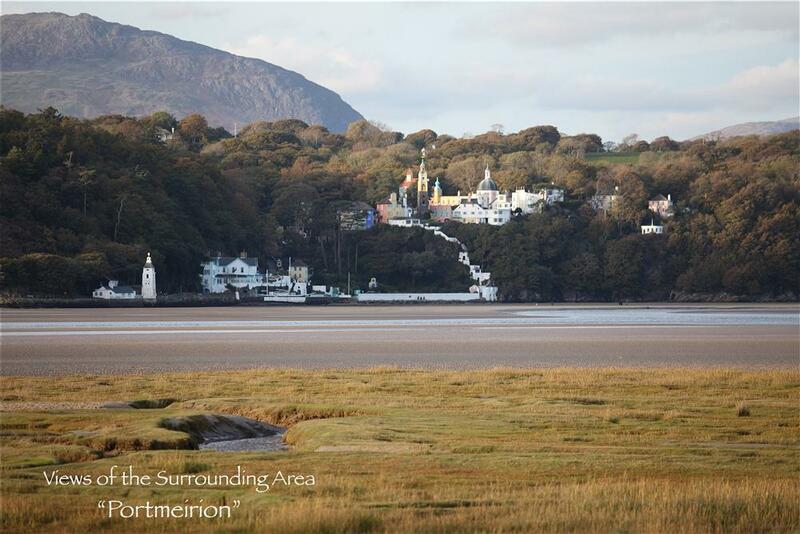 Trains run to Porthmadog, Harlech, Pwllheli, Barmouth, and small stops along the way, and with advance planning, many of our guests enjoy exploring the area by train. Llanbedr village is on the bus route between Porthmadog and Barmouth. This is not as convenient or as much fun as the train, but with about 13 buses in each direction daily on weekdays and Saturdays it can make the logistics a little easier. Llanbedr village is within walking distance, with shops, post office, pubs, restaurant etc, and the road has no gradients. Please note that there is no pavement for part of the way up to the village, so some care is needed when walking and driving along this road. Our caretakers, Mr and Mrs Jones, will gladly assist with luggage, bed making etc if required. Grocery deliveries can be arranged in advance of your stay. Most of the beds are on the firm side, having pine bases, but there are some single divans. Pillows and duvets are man-made fabrics. It you have a particular requirement for soft or hard mattress or require special allergy-free bedding please let us know. Televisions etc have remote controls which are checked regularly, but should a battery be flat please let us know. Televisions have teletext but we do not currently offer internet access. The nearest pay phone is in the village opposite the Victoria Inn. Mobile phone reception is generally acceptable in the area, but depending on your operator it can be poor inside the buildings. How many nights? 3 nights 4 nights 5 nights 6 nights 7 nights 14 nights 21 nights How many adults? 0 1 2 3 4 5 6 How many children? 0 1 2 3 4 5 6 How many infants*?